Brought back together after many years by a tragic event, exes Ciarán and Helen take time alone to reminisce. But is it too easy to fall back into old patterns when faced with a difficult situation? 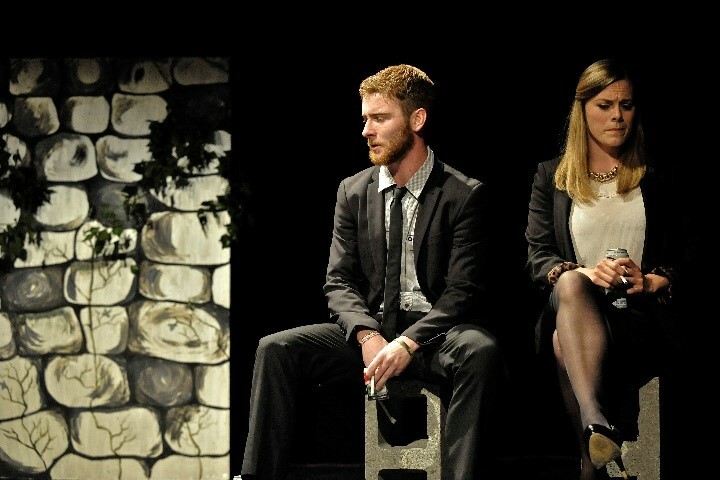 ‘The Passing’, starring actors Shane Laird, Laura White and Nicole O'Connor, was staged as a part of ‘What’s the Story’ at the Liberties Festival 2016. It went on to be performed at Cruthú Arts Festival and Temple Bar Culture and Arts Festival in the same year. The Passing was performed as a part of Little Shadow Theatre’s New Irish Playbook in May 2017. It starred Ian McEvoy and Carla Burke, and was directed by Eoin Wickham.